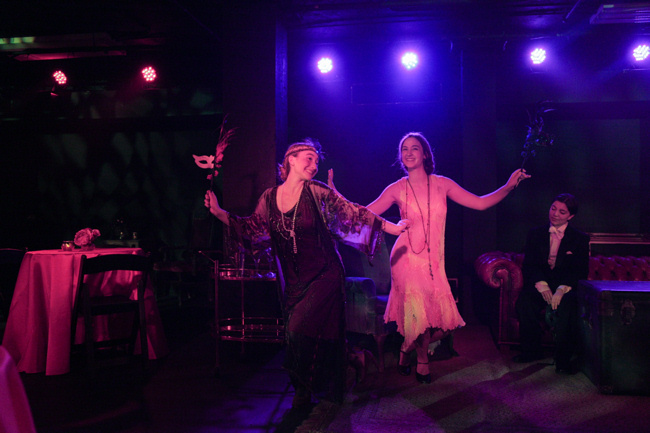 Director Tracy Poverstein�s production is effectively set in a jazzy 1920s speakeasy. The Archer School for Girls� space has a natural basement feel to it that adds to the speakeasy ambience. Mood lighting by Leihua Hartley as well as Matthew Hill�s set also adds some great touches to complete the feel including a bar, a stage for cabaret singers, a gramophone for accompaniment (though a handful of talented musicians provide the real accompaniment), and a few tables on the stage where cast members and some guests enjoy the nightclub. 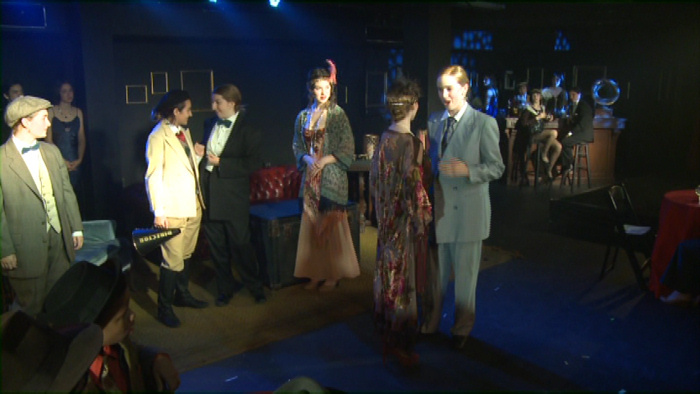 The show is interspersed with several classic songs of the twenties performed by a variety of nightclub singers, sometimes solo and at other times joined by singing and dancing flapper girls. Julianna Goldsmith crooning Getting to be a Habit With Me. Puttin� on the Ritz by a soloist joined by backup singers and dancers and a powerful solo of Here Lies Love. 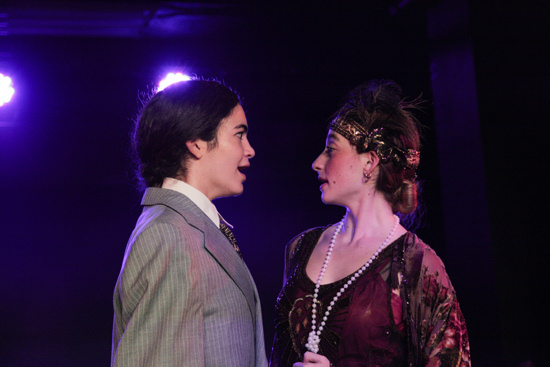 A clever It Had to be You �monologue� by, depending on which night you attend, either Gabriella Weltman or Anika Ramlo as they lose themselves in giddy newfound realization of love. 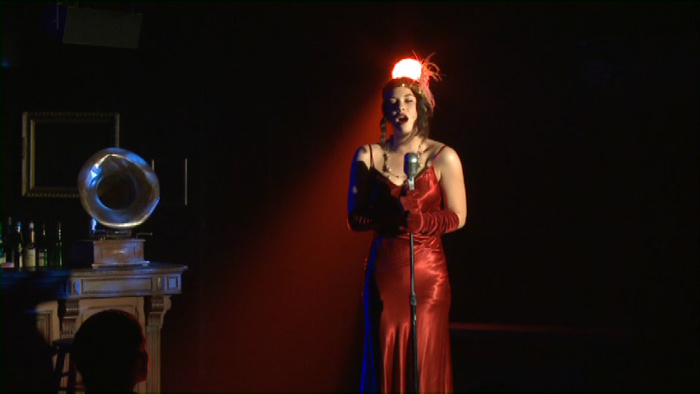 Livia Blum�s sweet singing of Always, on some nights singing it as Hero at her wedding. Lovely and soulful period singing of Someone to Watch Over Me by Gracie Abrams, on some nights singing it as Hero as she anticipates her marriage. Sara Friedman as a whimsical Margaret singing Makin� Whoopie. And it all ends with an upbeat finale reprise by the cast of It Had to be You. Evan Statt is Beatrice to both Anika Ramlo and Gabriella Weltman as Benedick, both pairs playing off each other with charming performances of strong and amusing personalities as they push each other�s buttons, first in irritation and then in deep affection after their amusing eavesdropping scenes whilst they listen to their respective friends trick them into realizing the truth. All three are also good as the play grows serious when Hero is slandered on her wedding day. Gracie Abrams and Livia Blum create a Hero who is both loveable and fun as she enjoys life and her quirky family, and devastated by the rejection and accusations. 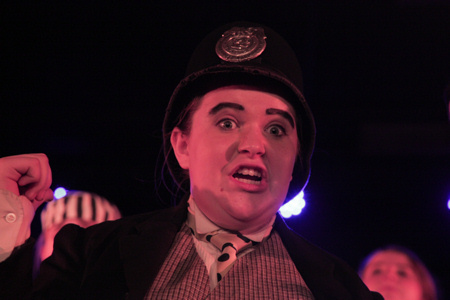 Talia Natoli is her fianc� Claudio, excited and emotional, and lacking in self confidence that creates sympathy but also contributes to her quick jealousy. Her eventual remorse is raw and heartfelt. Haley Cohen is a vivacious personality as Hero�s father Leonato who runs and emcees the nightclub. 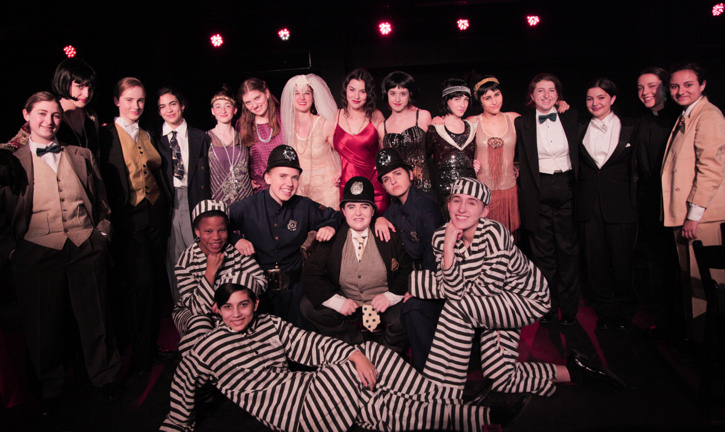 And Livi Richards is hilarious, adlibbing and hamming it up as �too cunning to be understood� police chief Dogberry, joined by her crack team of Keystone Cops Sophia Evans-Katz, Helena Laan, and Uma Halsted. Sara Friedman shines as the sultry Margaret, Isabella Moncada as the wiseguy villain Don John, and the rest of the deep cast fills out the nightclub and story with colorful characters who transport us to 1920s Manhattan and through their delightful take on the classic comedy and drama of Much Ado.